Passing the Georgia written exam has never been easier. It's like having the answers before you take the test. Conveniently, the Georgia Department of Driver Services (DDS) allows you to make certain appointments ahead of time, meaning less wait time and easier day planning for you. Even better, the state also offers online services, which can help you accomplish several driver and vehicle-related tasks without ever having to leave home. You can schedule appointments with the GA DOR online. 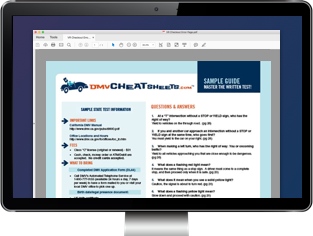 Schedule your road test appointment online for standard and motorcycle licenses using the DDS web portal. Note that while you cannot schedule a road test appointment for a basic driver's license over the phone, you'll need to call the Georgia DDS Contact Center at (678) 413-8400 to schedule a CDL road test. When you call, you should have your learner's permit number ready. Phone lines are open from 7 a.m. to 5 p.m, Monday through Friday and appointments may be made up to 120 days prior to your desired test date. When scheduling your CDL road skills test, you must pay the $50 road test fee. If you can not make your appointment or need to reschedule, you must call the Contact Center at least 1 business day before your scheduled visit. Should you fail to notify the DDS ahead of time, you will not be refunded the $50 scheduling fee.